The last few decades have seen a rise in animal rights activism across Europe, however much of the extremism has centred on Italy. In April 2012, animal rights activists stormed the Marshall Green Hill beagle breeding facility and stole dozens of dogs while the police looked on. In March 2013, activists blockaded the transport of 8 beagles to an Italian Pharmaceutical, Menarini, until the pharmaceutical company capitulated to their demands and handed over the dogs. On 31st October 2012, a group of students, inspired by the Pro-Test campaign in Oxford (UK), decided that enough was enough. It was time to take action and stand up for science and biomedical research. Together they decided to found an association – Pro-Test Italia was born. Meanwhile, a disaster was looming for Italian science. In Parliament, the transposition of EU Directive 2010/63/EU into Italian law was under discussion; however, many additional changes were being mulled, including a ban of dogs, cats and primates breeding facility across Italy. Furthermore, animal research was becoming a hotly-debated topic across Italy with animal rights groups holding rallies in several cities at a time to gain the attention of the public, the media and the policymakers. 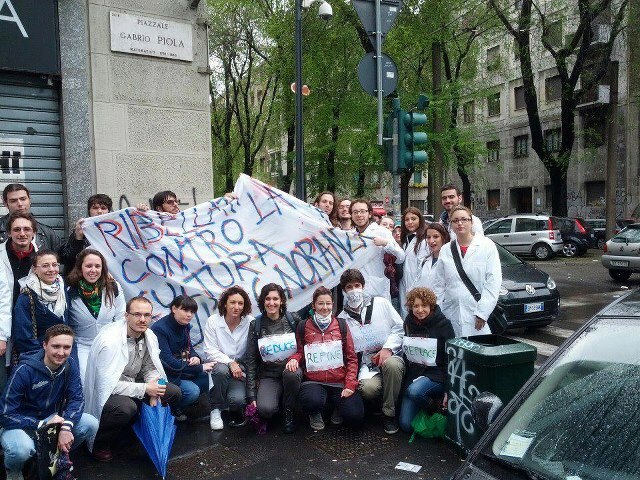 On 20th April 2013, five animal rights activists forced entry into the Pharmacology Department of the University of Milan. The activists barricaded themselves in the facility, tying chains both around their necks and around the doors’ handles to prevent the police from entering the facility. They removed and mixed up the information tags on many of the animal cages, rendering years of Parkinson’s and autism research useless. Eventually the activists made off with 100 mice and 1 rabbit. Extremism was getting out of hand. On Saturday 1st June, Pro-Test Italia held a rally in Milan. 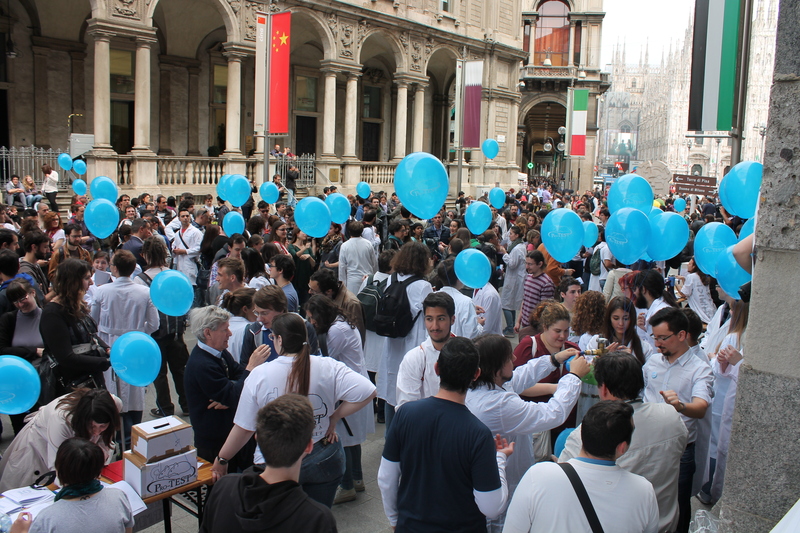 Over 300 students and scientists came together by the iconic Duomo di Milano to support the use of animals in medical, veterinary and scientific research. Despite efforts to disrupt the march by animal rights groups, many scientists spoke up about the important role that animals have for their research. Speaking of Research members were among those speaking and supporting the efforts of the Pro-Test Italia committee. The event was a huge success, covered by many Italian national newspapers. In the months after the rally, Pro-Test Italia met with many Italian politicians in order to explain the issues relating to the new law that were about to be approved in Italy. While some politicians were supportive, it was not enough. The new law working its way through Italian parliament still contained a ban on research into xenotransplantation, drug addiction, and for education and training purposes. On the 19 September 2013, Pro-Test Italia held a second rally, this time outside the parliament building in Rome. It was imperative that scientists made politicians understand how damaging it would be to stop animal research in Italy. Once again, hundreds of students and researchers took to the streets to make their voice heard. This time the speakers included politicians from almost every major political party. In the coming weeks and months, politicians from all parties began to openly discuss aspects of the new law and the impact it would have on research in Italy. In March 2014 the law on animal research was finally approved, but with the most controversial clauses banning xenotransplantation and addiction research delayed until 2016, when they will be reexamined. In the meantime Italian scientists are planning to bring a legal challenge against the Italian legislation – which clearly contravenes the EU Directive itself – in the European Court of Justice. Now Pro-Test Italia is continuing the fight to stand up against extremism and prevent the damaging laws being implemented in Italy. There are some signs of optimism to be found – a recent public opinion survey showed a large increase the proportion of those supporting the use of animals in research in Italy. If you wish to learn more about Pro-Test Italia, or even want to get involved contact them via their website or email them: info@pro-test.it. Don’t forget to like them on Facebook as well.